Bring the milk to the boil, then remove from the heat and add the butter. Leave to cool until it reaches hand temperature. Mix the flour, salt, sugar and yeast with the warm milk and egg in a mixer with a dough attachment, or with a wooden spoon, then bring together the dough with your hands. Don’t knead. Put the dough in a lightly oiled bowl. Cover with oiled cling film and leave to rise in a warm place for 1 hr or until doubled in size and a finger pressed into it leaves a dent. 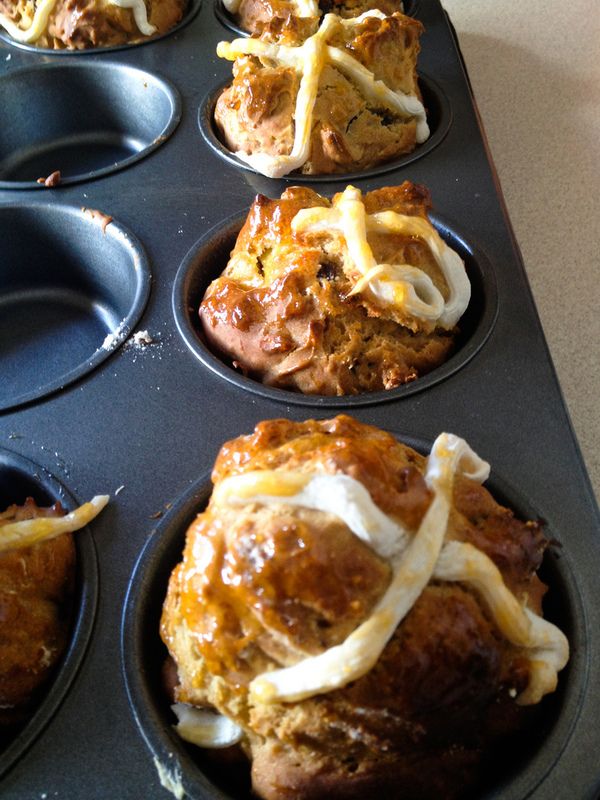 Tip in the olive oil, sultanas, mixed peel, orange zest, apple and cinnamon and mix into the dough. Shape into buns by lightly oiling your hands and dividing the dough into 100g pieces before rolling into balls. Leave to rise for another hour. Heat oven to 220C/200C fan/gas 7. Mix the flour with about 3 tbsp water to make the paste for the cross – add the water 1 tbsp at a time, so you add just enough for a thick paste. Spoon into a piping bag with a small nozzle. Pipe a line along each row of buns, then repeat in the other direction to create crosses. Bake for 20 mins on the middle shelf of the oven, until golden brown. 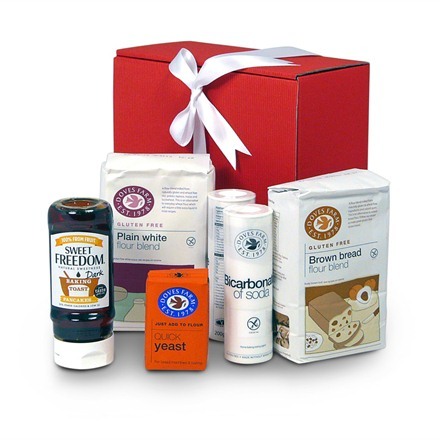 If this has whet your appetite, you can find other delicious gluten free baking ingredients in our Baker’s Gift Box and Baker’s Essential Hamper. Enjoy your bake! And remember we always to love to hear about your baking successes.